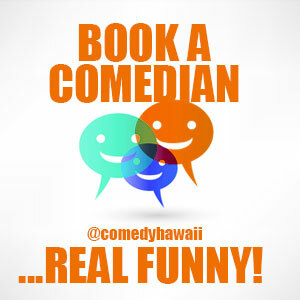 THE FEAST OF FRIENDS TEAMS UP WITH COMEDYHAWAII FOR THE 3RD ANNUAL I HATE VALENTINES DAY SHOW AT BAR SEVEN! 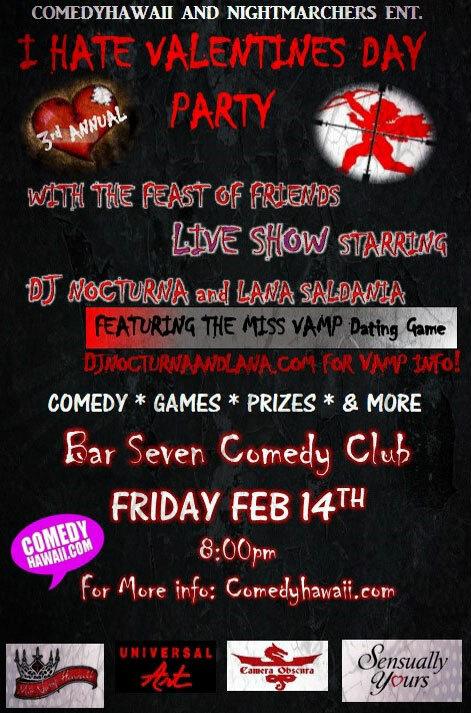 It is official, Hawaii’s legendary show, Feast of Friends, featuring DJ Nocturna and Lana Saldania, will be teaming up with comedyhawaii for the biggest I hate Valentines day show ever! The biggest feature this year will be the “Miss Vamp Dating Game.” A dating game style event featuring contestants from Hawaii’s own Miss Vamp show! 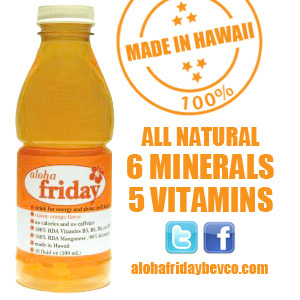 There will be a Live Feast of Friends event, Live stand up comedy from some of Hawaii’s top comics, prizes, games, D.J. ace spinning from 12:00 till 4:00am, Half price drinks all night long, and a free black rose for everyone! SO DO WE! SO LETS PARTY THE NIGHT AWAY!